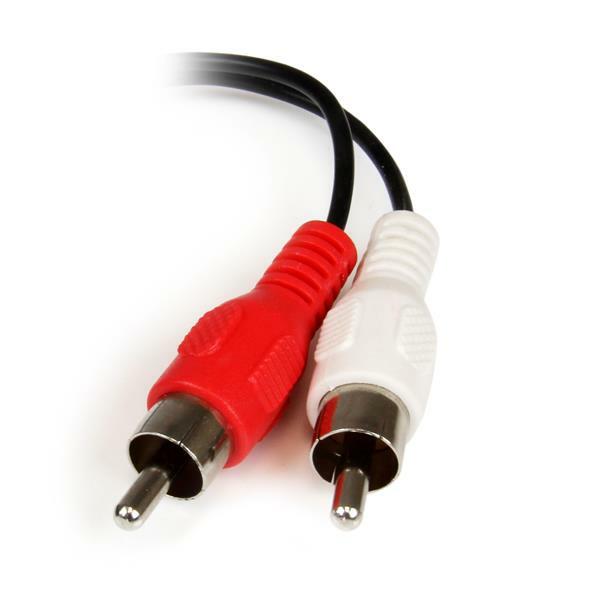 The MUFMRCA 6in 3.5mm to RCA stereo audio cable features one 3.5mm (TRS) female and 2x RCA male connectors, enabling you to connect your portable audio device ( iPod® or other MP3 player) to your home stereo. Simply plug your audio device into the female 3.5mm connector using one of our standard male to male 3.5mm stereo audio cables (MU6MMS) and then connect to your home stereo through the two male RCA connectors. 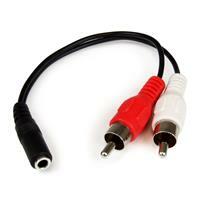 This 3.5mm to RCA Cable is designed and constructed for maximum durability, to ensure dependable, long-lasting connections, and is backed by StarTech.com’s lifetime warranty. 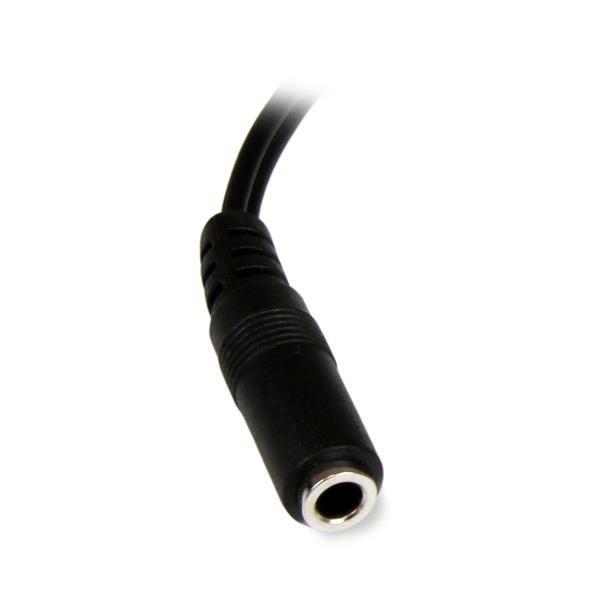 Works perfectly for connecting output from cellphone, Bluetooth receiver or Echo Dot to my stereo amp but still required using a cord with 3.5mm male connectors on both ends.